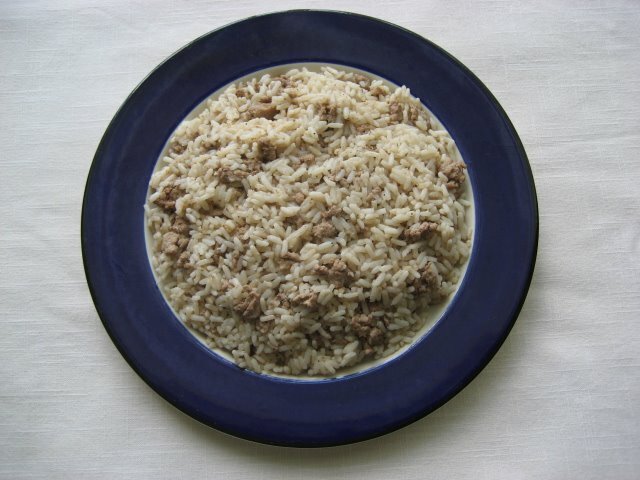 TheArmenianKitchen.com : Three Thanksgiving recipes - so very easy! We’re getting ready for Thanksgiving- just as millions of other Americans are doing this weekend. Ours will be very intimate this year – just 3 of us; no hoopla, just good company, food, and loving thoughts of those who can’t join us. 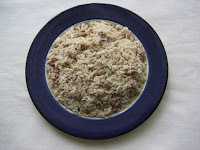 Armenian stuffing for turkey or chicken - or - simply a side dish! 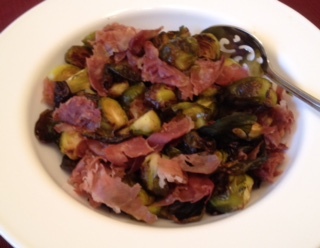 One of the veggie dishes I’m making will be Roasted Brussels sprouts with Basturma – if I can find some, otherwise suitable substitutes will be prosciutto or bacon. Update: Darn! 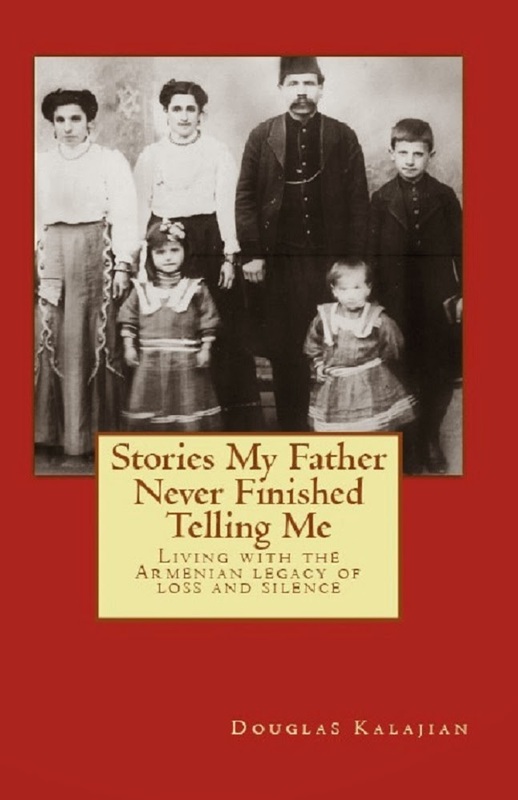 Just came back from my little go-to Armenian store and they’re fresh out of basturma! Looks like prosciutto will be used instead. The recipe will be delicious, just the same. The second veggie recipe is a really simple carrot dish I’ve made for years – it’s so simple that even my high school cooking students could whip it up in a flash! This time I’m going to jazz it up with one additional ingredient – pistachios. 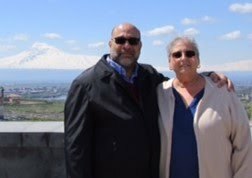 The Armenian Kitchen – and my family – wish you all a truly Happy Thanksgiving! Rinse and sort cranberries, discarding any bruised or soft ones. 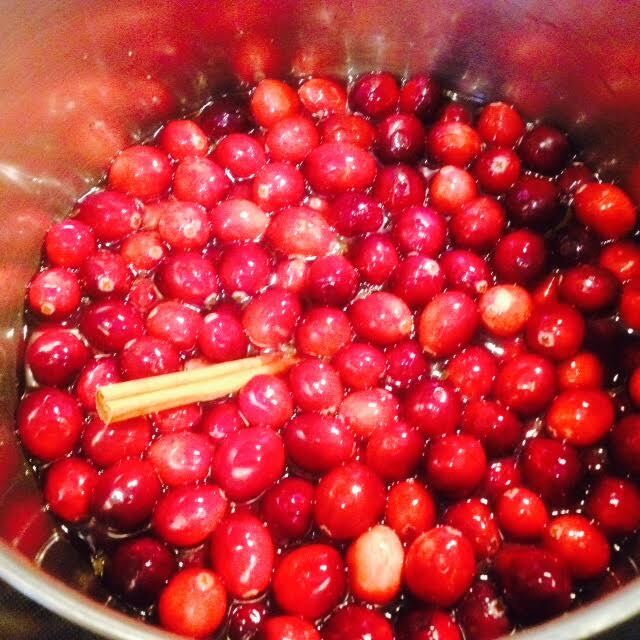 Cranberries cooking with sugar, water, orange juice, zest, cloves, and cinnamon stick. In a **non-reactive saucepan, stir together the cranberries, sugar, orange zest and juice, water, cinnamon stick (or ground cinnamon) and cloves, if using. Cook over medium-high heat until it reaches a boil. Reduce heat and simmer, stirring occasionally – about 10 to 15 minutes. The sauce should start to thicken and the cranberries should burst. Place in a serving bowl, let cool, then cover and refrigerate until ready to serve. This can be made a day or two in advance. ** Examples of a non-reactive saucepan include glass, stainless steel, food-grade plastic, ceramic, porcelain, and hard anodized aluminum. Poor materials include cast-iron, copper, and aluminum. NOTE: This recipe can easily be doubled or tripled depending on the number of mouths to be fed. Note: Since basturma, prosciutto and bacon are salty, you shouldn’t need to add additional salt, but the choice is yours. Add 1 Tbsp. of the olive oil to an oven-proof skillet, cook the basturma until it becomes crispy. Remove from skillet. Place crispy basturma on a plate lined with a piece of paper towel; set aside. Add the remaining olive oil to the same skillet and sauté the garlic (if using) until slightly golden. Add the Brussels sprouts and stir to combine well with the basturma. Add black pepper. Toss to coat. Roast for 15- 20 minutes. If skillet is not ovenproof, transfer Brussels sprouts to a roasting pan and follow the same roasting time. Serve immediately. Cut carrots on the diagonal about ¼” thick. 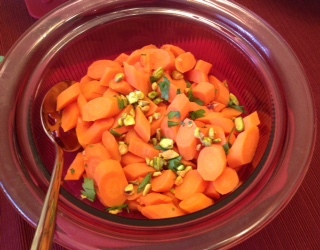 Place cut carrots in a microwave-safe bowl; add 3 Tbsp. water. Cover bowl and microwave at full power for about 5 or 6 minutes. Carrots should be tender-crisp, and not too soft. Drain excess water. Stir in butter and parsley. The heat of the carrots will melt the butter. Toss gently. Place in a serving bowl and garnish with the chopped pistachios. Serve immediately. I am an african but i hav ealways had a thing with American food, to me the rosted brussel sprouts with basturma looks very yummy and i must try them out this festive season to suprise my family. thanks form the shares.